After sharing a week of outfits to you all, I realized that my closet needed some holes filled (I need a pair of these and maybe this). Most importantly, interchangeable pieces that I can wear for a daytime meeting/lunch or a night out. Put together, but not fussy, and items that can be worn practically anywhere. When I say night out, I no longer mean a "going out top" and sky high heels. Although I do enjoy that once in awhile. I mean cozy dinners with friends and date nights at our local favorite. Pulled together and interesting, but not trying too hard. This is a true capsule where every piece fits together. I know that longevity and worth while investment is important to all of us. So here are 12 tops and 8 bottoms that could be worn with each other. 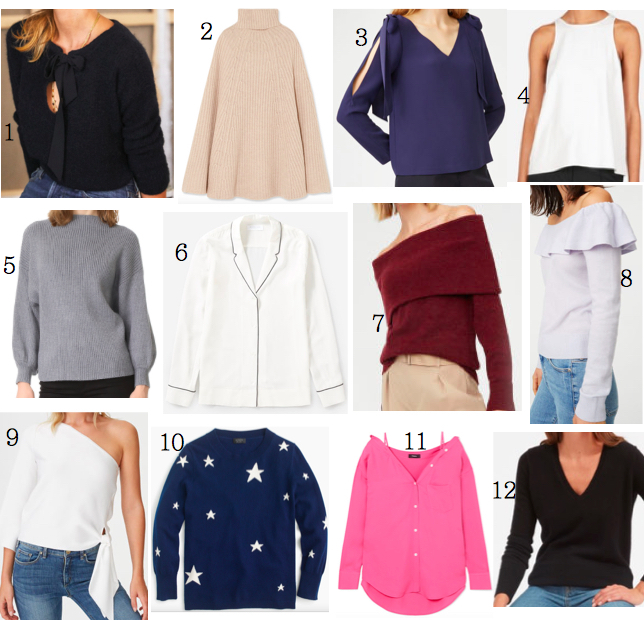 I gravitated towards interesting knits with maybe a hint of skin and silky tops that can be worn loose or tucked depending on your mood. 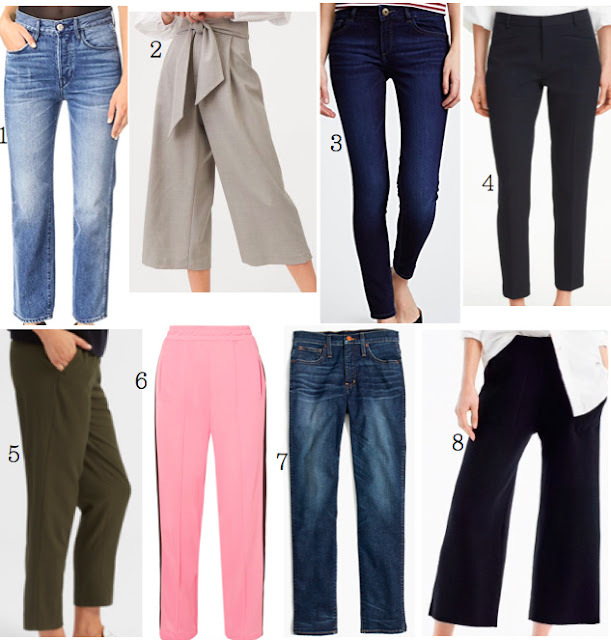 I really love the combinations and with a few of each category there could be many outfits to last well into Spring. Thoughts? Any questions on how to pull these things together? Narrowing the selection will be hard for me!